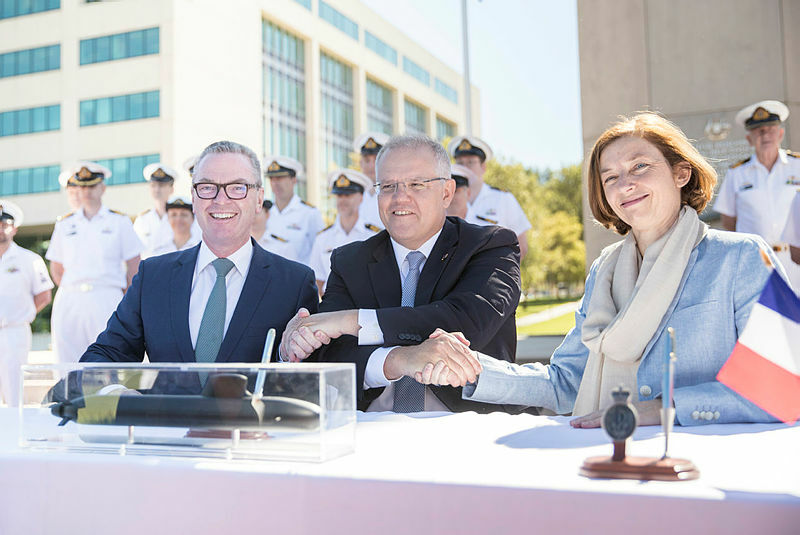 Yesterday, Australia and France signed an A$50 billion contract for Australia’s fleet of 12 new submarines after a stalemate over the length of warranty periods and possible technology transfers delayed the negotiations. 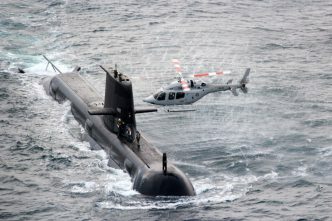 French media report that the agreement guarantees Australia that Naval Group, the state-owned French shipbuilding company in charge of building the future submarines, won’t become a privately owned enterprise during the term of the contract. The clause was reportedly included to allay Australian concerns over the transfer of sensitive technology. A separate agreement on the submarines’ final design is expected to be signed in the next several weeks. Satellite imagery released by the Asia Maritime Transparency Initiative (AMTI) reveals that China has deployed up to 95 vessels in the West Philippine Sea—otherwise known as the South China Sea—in reaction to Filipino reclamation work on Pagasa Island. AMTI believes the Philippines has more ambitious plans for the island as more than three hectares of land have been reclaimed. Reclamation work on the island may signal a shift in the Philippines’ South China Sea policy, which has been criticised for its perceived leniency towards China. The US Navy’s unmanned surface vessel, the Sea Hunter, has sailed from San Diego to Pearl Harbor and back. The US has invested significant resources into the development and construction of drone ships as it seeks to maintain a capability edge over its adversaries. In the future, drone ships will likely be used to track down enemy submarines and collect valuable intelligence at a relatively low cost. Germany and France have announced a contract worth €65 million (A$104 million) to start the joint development of the next-generation combat jet. While the prime contractors will be Dassault Aviation and Airbus, France’s Safran and Germany’s MTU Aero Engines will develop the aircraft’s new engine. The jet will eventually replace France’s Rafales and Germany’s Eurofighters, and is expected to be operational in 2040. The US and Philippine air forces have completed 12 days of joint training at Cesar Basa Air Base near Manila. The latest iteration featured aerial training between the US F-16 and Philippine FA-50 aircraft as well as exchanges in intelligence, flight and maintenance operations. These training exercises promote interoperability between the US and the Philippines amid heightened tensions in the region. The US Air Force says it has killed eight al-Shabaab militants in an airstrike in southern Somalia. The strike is an indication that the ‘Africa Strategy’, released by US President Donald Trump’s National Security Advisor John Bolton in December, is being implemented. 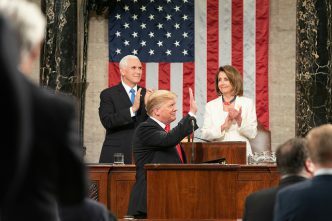 One of the strategy’s aims is to counter the threat in Africa from ‘radical Islamic terrorism’, and so far in 2019 the US has carried out at least a dozen airstrikes against al-Shabaab in Somalia. Seoul has agreed to pay Washington more to cover the cost of stationing 28,500 US troops in South Korea, after 10 rounds of failed negotiations between the two countries. While the deal has eased some concerns surrounding the strength of the alliance, the agreement will last only one year before requiring renegotiation. In 2018, South Korea provided US$830 million (about 40% of the cost); this year, its contribution will rise to roughly US$924 million. The US Army has confirmed that it will buy and test Israel’s Iron Dome missile defence system to protect soldiers deployed in battle from indirect fire. The system will be used to fulfil the army’s ‘short-term need for an interim indirect fire protection capability’ while it assesses its long-term options. Since 2011, Israel has used the system to intercept over 1,500 targets with a 90% success rate. 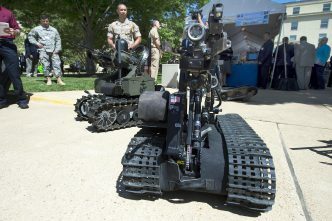 Recently it was activated to intercept missiles launched by Palestinian militants in Gaza and a rocket fired from Syria. Venezuela’s army has blocked a key Colombia–Venezuela border crossing under orders from President Nicolás Maduro. The army moved tanker trucks and shipping containers onto the Tienditas bridge last week and has prevented US aid deliveries from entering Venezuela. 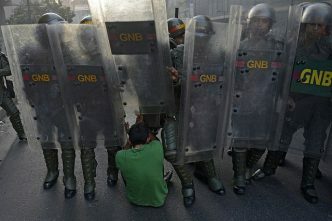 Juan Guaido, who is recognised as the country’s legitimate president by more than 40 countries, reminded the army of its responsibilities to the Venezuelan people, saying 300,000 may die if aid is not delivered. The allegiance of the military is key to the outcome of the Guaido–Maduro power struggle and so the focus will be on whether the army chooses to let the aid pass. Space company Equatorial Launch Australia has announced that it has signed a contract with US company TriSept to offer satellite- and rocket-launch services from its Arnhem Space Centre. Equatorial Launch Australia holds a 40-year lease over a site near Nhulunbuy in the Northern Territory and wants to capitalise on its proximity to the equator to offer more efficient launch services. 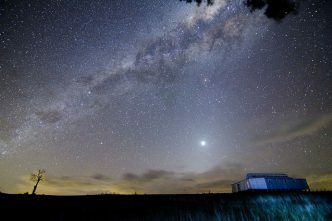 Launches are expected to commence this year, bringing Australia closer to having its first commercial spaceport. On 3 February, SpaceX successfully tested its ‘Raptor’ rocket engine for the first time. This development is a key step in the company’s plans for launching its ‘Starship’ spacecraft. This type of rocket is crucial for missions to the moon and Mars, and SpaceX founder Elon Musk has also noted their potential for launching heavy payloads into Earth’s orbit. The testing of the Raptor serves as a reminder of the valuable opportunity—for defence forces and commercial ventures alike—that the ability to launch satellites using reusable and relatively cost-effective spacecraft would provide. US and international authorities have dismantled a Romanian cybercrime group identified as the Alexandria Online Auction Fraud Network. Criminals pretended to be members of the US military to build credibility for fake advertisements on auction sites. The money sent to the network by victims was laundered into overseas accounts after being converted into bitcoin. The 24-count indictment includes charges of racketeering and identity theft. Following the longest shutdown in US history, cybersecurity experts have returned to their government offices to find severe weaknesses in federal cybersecurity defences. Experts found expired software licences, expired web encryption certificates and weeks of unanalysed network activity logs. Cybersecurity analysts quoted in a letter from US senators state that the shutdown provided an opportunity for adversaries and cybercriminals to stage attacks on American institutions and citizens. Thailand has launched a Huawei 5G test bed despite warnings from the US and other countries that Huawei equipment may be used by China for ‘malicious cyber activity’. Thai Digital Economy Minister Pichet Durongkaveroj said that cooperation with Huawei does not mean that the Thai government isn’t concerned about security and will use the test bed, which is also being used by other companies, to make its own assessment of Huawei. Luke Courtois, Rhys De Wilde, Mali Walker and Genevieve Feely are research interns at ASPI. Image courtesy of the Department of Defence.